The classic caricature of a scientist would include him or her experimenting on mice by putting them in labyrinths with a cheese at the end of it. Or it would otherwise be a picture of that scientist injecting mice with all sorts of chemicals for the purpose of finding the cure to something or developing some new product. A simple idea like that is what Meerkat Gaming took advantage of and created its latest game, Maze Runner. 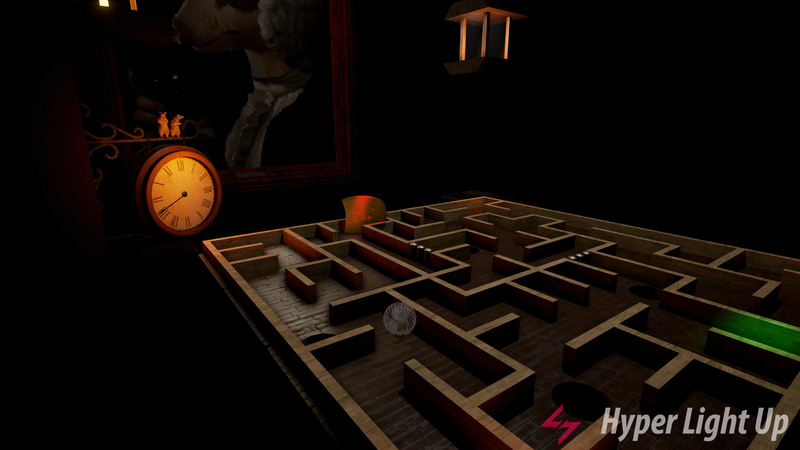 Maze Runner is a casual family game that follows a little rat, called Bernard, a very passionate rodent which loves its round ball, which he uses to travel through various corridors that are filled with fun challenges. 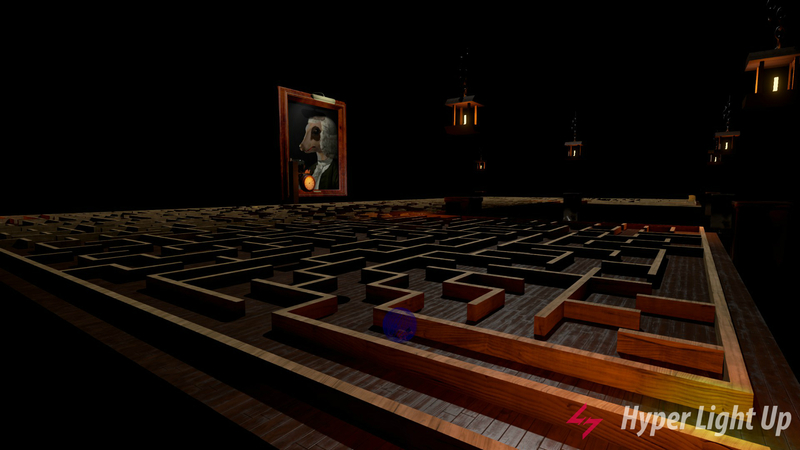 In the game, players have accesses to two different modes, classic and fantasy, with each of those having its own set of different categories of labyrinths. In Classic mode, the categories offered are Rolling Rat, Board Tilt and Pinwheel with each one of those sportings a unique set of controls that the player can use. The player controls Bernard or the level itself for the purpose of getting through each level. The goal is to reach the end of the level so that Bernard can eat his tasty cheese. Apart from gravity though, there are also other things that will come in Bernard’s path to tasty happiness. Various obstacles and traps are located on various parts of each level. These we can use to our advantage or they can delay us from achieving our goal. There is of course a score system, so everything we do is important for getting a better score. Fantasy mode on the other hand, is for the players that want something more out of a fairy tale. In this mode, Bernard moves through gardens and big castles, trying to avoid various monsters that wait in the shadows, or traps that are well-placed and waiting to get us. The traps and generally the puzzles had an important issue which was a problem with the lighting. Despite the game wanting to have a darker look, the darkness that envelops the game was not really necessary in many circumstances. Many traps actually took advantage of that dark scenery and made our lives even more difficult by hiding in the shadows. Other than the very desired high score, Bernard can also choose to wear a bunch of different hats, which help modify his look to the player’s tastes. The ball that Bernard rolls in can also be coloured, giving the game a bit more of a pleasant look. All in all, the mechanics of Maze Runner feel very much like any other game of its genre, with the big focus here being the way the cameras work while we move around. The title also supports VR and through that, the studio aims to give a memorable experience by combining the use of movement and good camera following. That is something though that I personally did not have the chance to try out, since I do not have VR gear right now. Even without the VR though, the game’s controls were very easy to learn and fun to use. The camera however, in a non-VR environment tended to be a little bit annoying, mostly in the case of close view on our character. The camera in my opinion is something good and bad, since sometimes it seemed very useful, and other times it seemed to be a problem. The positive part here is that we are able to change the point of view in order to be able to go through difficult spots much easier. The lighting here once again was a problem and the camera sometimes saved us from that. I often found myself having to do tricky movements in order to be able to avoid certain things here and there while playing with the camera gimmicks. A big problem of the game, and somewhat disheartening in my opinion, was that completing a category in one of the modes, or even all of them, did not mean anything, since progress is not kept in the game. With good gameplay, few levels might not be a big problem but it is certainly a nightmare for anyone that wants to have saved progress. Maze Runner is a very pleasant experience with a nice casual atmosphere which makes the puzzles and challenges in it enjoyable. It might be “all for nothing” for some, since progress is not saved but even with the problems that the camera might have sometimes, the game is definitely worth picking up. It is even more worth picking up if you have VR gear, since it is pretty much made with a focus on that experience.